I am interested in the Policies and Procedures Board Portfolio. I will try, briefly, to explain why I would be a good fit for this position. My first year of undergrad in the Arts and Science program at McMaster has opened me up to the possibilities in changing our world. I have learned so much this year – about Indigenous resilience efforts, the effectiveness of grassroots organizations, about deconstructing colonial influence in our personal spaces, and even how to approach sustainability efforts within our local communities. I have also become enamoured with the idea of social businesses and will be spending the upcoming summer months volunteering at one of Hamilton’s better-known social businesses: the 541 Eatery. I am doing this in the hopes of getting in touch with the local community, and for inspiration as I look to starting my own social initiatives in dealing with Hamilton’s gentrification. I also feel qualified for this portfolio as I have been involved with a South Asian research group at McMaster where I am working on a project that concerns the declining health of South Asian truck drivers and the impact that Canada’s shortage of truck drivers will have on South Asian communities. This interdisciplinary approach of applying health research methodology with the weight of Canadian immigration policies is incredibly interesting. I also believe that it directly ties into the values upheld by OPIRG, and conveys that I am capable of writing effective policy and procedure. Finally, I am in the process of pulling together a South Asian Mental health Conference here at McMaster because I believe the impact of South Asian values and culture have debilitating effects on mental health perception. I will be dealing with the President’s Advisory Committee on Building an Inclusive Community to secure funding for the conference, so I am very capable of initiating new programs or possibly bringing new issues to the board as well. All in all, OPIRG is a community that I would be ecstatic to gain experience from, and I would enjoy being on the Board in any capacity that is available. I truly believe that OPIRG aligns with my personal values and approaches to dealing with relevant issues in our society. Hello, my name is Justine Becker and I am running for the OPIRG board of directors for 2019/2020, in the portfolio position of working groups/public interest projects. I am in second year Arts and Science and I am passionate about social justice, human rights, and student activism. My work this year with COPE McMaster, a student-led organization that facilitates activism promoting mental health on campus, has given me experience with promotion and outreach as well as experience in planning and leading events, and has instilled in me an appreciation for the nuances of working with sensitive issues like mental health. I have also worked for the past two years volunteering as a tutor at a school in downtown Hamilton helping youth who struggle with literacy. This experience has helped me to sharpen my leadership skills, fine-tuned my ability to work attentively with others, and developed my ability to think creatively on the spot as I constantly design and adjust learning plans. For three semesters, I also volunteered as a research assistant helping to run an ongoing McMaster study examining the effects of exercise and mindfulness on mental health, which provided me with valuable leadership experience, as well as developing my skills in team work, building a safe and trusting environment for participants, and maintaining a meticulous and organized method for conducting the study. My experience participating as a delegate for McMaster Model United Nations has also further allowed me to develop my research, advocacy, and cooperation skills. I would love the opportunity to join OPIRG McMaster in helping to facilitate student-led public interest initiatives, and striving to making a real difference on our campus and beyond. 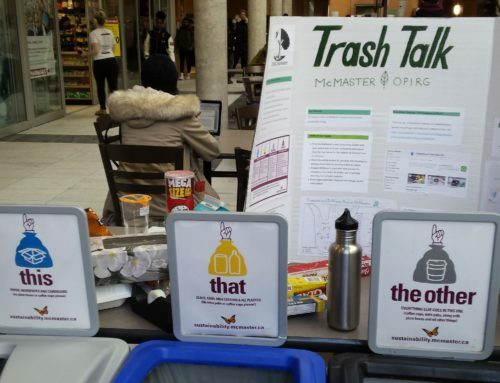 The Ontario Public Interest Research Group of McMaster University continues to grow by spreading awareness to the local community. I value the organization because they share a set of beliefs to embrace diversity and equality in the community and engages students to act against social justice and environmental injustices. I would like to reapply for the board portfolio of Staff Liaison/Human Resources Representative. As a third-year Honours Labour Studies degree, I have a strong sense of analyzing collective agreements which can benefit to this role, since the organization is unionized by CUPE 1281. I have taken a couple of Human Resources courses to help enhance my understanding in-depth of each duty that they perform such as recruitment, training, and development, and ensuring equal opportunities in the workplace which can also benefit to this portfolio. With my strong problem-solving and analytical skills, I believe to be a great asset to the OPIRG organization, by encouraging staff and volunteer members to align with OPIRG McMaster’s goals and values. My name is Megan Cheng and I am a current second-year BHSc student. Since the summer of 2018, I have been a resource center assistant at OPIRG; additionally, I am currently an active team leader with Bleed Free McMaster, a public interest group that promotes sustainable menstrual product usage and increases accessibility to menstrual products within the greater Hamilton community. In addition to this, I am a Safe(r) Space peer support volunteer with the Women and Gender Equity Network (WGEN); this service provides numerous resources and an open environment for discussion and education on topics surrounding gender and sexual identity. Based on the above, I am interested in filling the Policy and Procedures portfolio for OPIRG this coming year. I am passionate about policy, and have worked with the Canadian Cancer Society’s Break it off campaign, which serves to encourage smoking cessation among youth aged 19-24 through in-person and social media educational events. I have seen first-hand how these types of policy-related efforts can enact real and positive change on both a personal and much broader institutional level. I believe that my affiliations with these groups, as well as my experience with relevant work, has given me a unique perspective and understanding of what it takes to serve as a board member with OPIRG McMaster. Hi! My name is Mateo Orrantia, and I’m heading into my third year of Art & Science here at Mac. I’m looking forward to having an opportunity, through OPIRG, to enact real change in and around the McMaster community. OPIRG’s mission resonates deeply with me, and I believe I have the skills to be an asset to the board of governors in the Staff Liaison/Human Resources Representative. experiences working in Canada’s national parks, has also helped me understand the logistics of environmentally-focused projects. In addition to this, I’ve served as both a captain and coach of multiple sports teams, which helped me gain invaluable interpersonal skills that make me adept at working in teams, as well as navigating the dynamics present when those with different backgrounds and life experiences come together with a common goal in mind. I’d love the opportunity to put these skills to work and help empower students to pursue their projects towards a better world with OPIRG. My name is Sydney Potts and I am running for the position of Staff Liaison and Human Resource Representative on the OPIRG Board of Directors (BOD). I am in my second year of Arts and Science and would love the opportunity to become more active in McMaster’s student activism community. Supporting social justice movements and working toward environmental sustainability are two great passions of mine and I think, therefore, would align me well to the mission of OPRIG. As a member of my high school’s student council four years I learned a lot of working collaboratively with others to try and give a platform for the student voice, and the intricacies and challenges of implementing student initiatives. Specifically, as Public Relations Officer, I was able to engage with both the community and the student body and work to integrate the ideas and resources of both parties and unify the two to more effectively tackle new initiatives as a collective body. 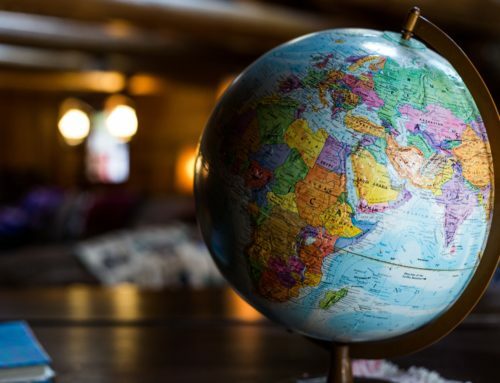 Additionally, I have experience working closely with groups of people from all different walks of life and effectively fostering relationships which are the basis for meaningful and effective change. As a member of the Student Support Team for the McMaster Discovery program, I worked closely with a group of adults in the Hamilton community that had had barriers to accessing post-secondary education. This experience allowed me to better understand the challenges that are faced in circumstances outside my own and further reinforcing, for me, the importance of personal connection and effective communication when working with others and especially when trying to offer support. If I were to be elected to the OPIRG BOD it would also be critical that I have strong organizational skills, especially geared toward event planning. As the formal convenor for the Society of Arts and Science students this year I was able to get an even stronger appreciation for the work required to successfully execute large events and allowed me to develop practical means for overcoming obstacles that are sure to arise under these types of circumstances. In a human resource position, it is critical that a board member be able to relate well to others and communicate effectively. As a member of the Spark volunteer team this year, an MSU service dedicated to easing the transition of first year students, I furthered my ability to aptly support those who are struggling or seeking guidance as well as refining my ability to find solutions to problems that may arise in interpersonal situations. Working with others to create positive social change is something that is tremendously meaningful to me. I believe that everyone deserves the opportunity to pursue their passions and live their lives free of oppression. In order to actualize this belief we must work towards a more equitable society and I believe grassroots organization to be at the forefront of this effort. For these reasons I would like to be a member of the OPRIG BODs and believe my skills and past experiences would make me well suited for the position. Hi, my name is Nicole Strader I’m a second year Arts and Science student here at Mac who hopes to pursue a concentration in environmental science. I’m very interested in serving on the OPIRG Board of Directors (BOD) under the portfolio of resource centre. As someone who is an active supporter of the student voice and student activism I believe I would make a great addition to OPIRG’s BOD. In high school I had the opportunity to serve as the student trustee for my school board. This experience allowed me to be an advocate of student voice at not only a local board level but also a provincial level. In addition, I have experience with grassroots student movements. I was a part of a group of students who started the very first Gay Straight Alliance in my small, rural, and socially conservative high school. In addition I was a founding member of, and served 2 years as president for an outers club. A club devoted to giving students the opportunity to experience the outdoors through experiential learning trips like canoe camping, hiking, and biking. 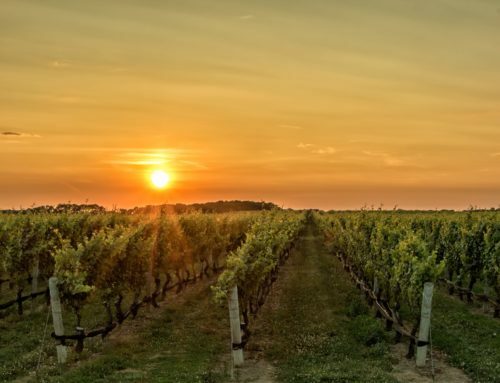 The mandate of this club was to foster not only a sense of environmental stewardship of its members, but also within the greater community. I have also be an active member of the McMaster community. I volunteer with the MSU through Spark, a first year transition and orientation service. I also have had the opportunity to be a member of the Society of Arts and Science Students as Junior Program Advisor (JPA). The role of JPA allowed me to be an advocate for the student voice within my program to directors and admin of the program. I am also fortunate enough to be one of the Welcome Week Planners for the faculty of Arts and Science. I believe that my previous experience in student life and student politics would be a benefit to OPIRG BOD and would align with OPIRG’s mandate to empower students to initiate positive change. My name is Ryan Tse and I am a second-year Arts and Science student, news journalist, and published medical researcher who has sought out opportunities my whole life to make a difference in my community in practical ways. Over the past year as the news reporter for The Silhouette, I have gained a strong understanding of how student government, grassroots activism, community partners, and municipal government work together to make meaningful change on the frontiers of social and environmental justice. Meeting and working with many students on several issues in particular has given me a great appreciation for how many different ways students are organizing and advocating on campus, and the dedication students have to making the world a better place, and how important it is for communities to support these efforts. My passion for community involvement has also led me to volunteer for Best buddies and as a tutor for Frontier College. These experiences have helped me learn how to further social change from within organizations in the community. Through my work experiences at three different medical research labs and as a journalist, I have learned how to work with people of all backgrounds and skills, to set manageable goals and complete tasks on time. From writing articles on a weekly basis as a reporter to co-authoring a scientific paper, I believe I have the skills to thrive under the policies and procedures portfolio. All full-time undergraduates at McMaster who have not opted-out of OPIRG McMaster are eligible to vote. 21.2 Any proposed amendment to the Constitution must be passed by a two-thirds majority of the Board of Directors present at a meeting duly called to consider such amendment. Once so passed, the amendment shall be submitted for inspection to the Board of Directors of Ontario PIRG and then if approved, submitted to the members of OPIRG McMaster. The amendment shall be approved by a two-thirds majority present at General Meeting for which two weeks notice has been given. 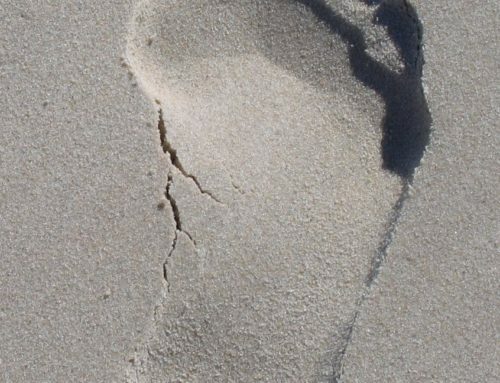 The members of such a meeting may approved or reject but may not propose additional amendments not previously passed by the Board of Directors in the above-mentioned fashion. 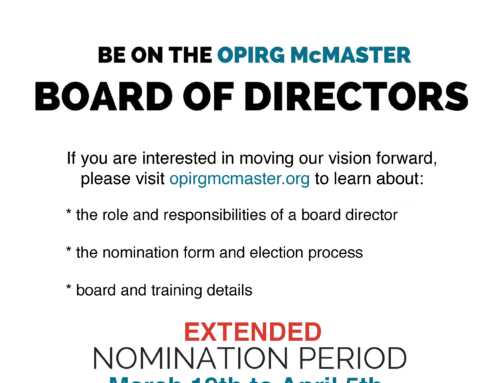 Each director, at the time of their election and throughout their office shall not be allowed to be a member of an OPIRG McMaster working group. A director may not attend working group meetings unless it is part of his/her/their Working Group portfolio. The current OPIRG McMaster Board of Directors recommends the OPIRG membership reject an amendment which was accepted at the 2018 AGM. The following amendments are put forward by the outgoing board of directors. Proposed Amendment: remove Article 19.1.